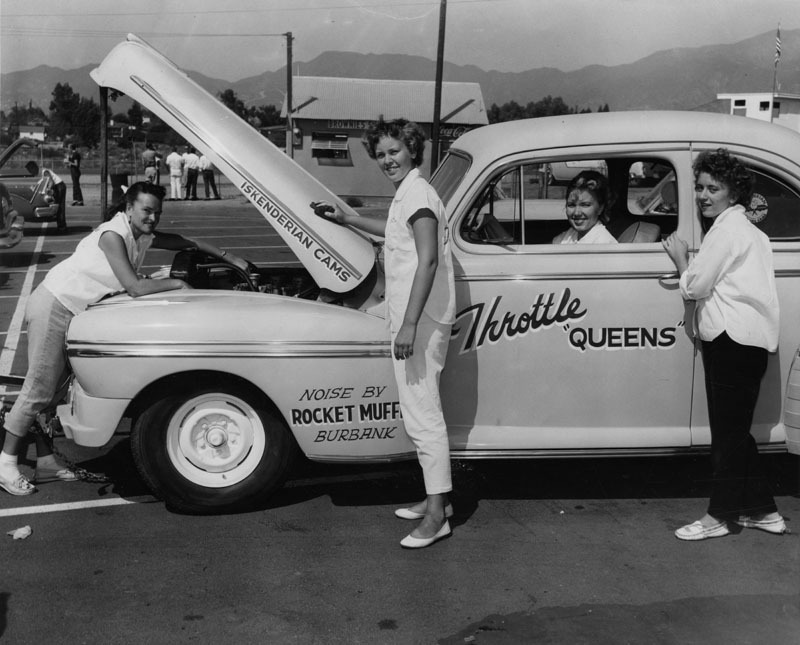 Members of 'Throttle Queens' put last touches to their pride and joy, club coupe which will compete against male-driven car at the San Fernando Drag Strip in 1956. 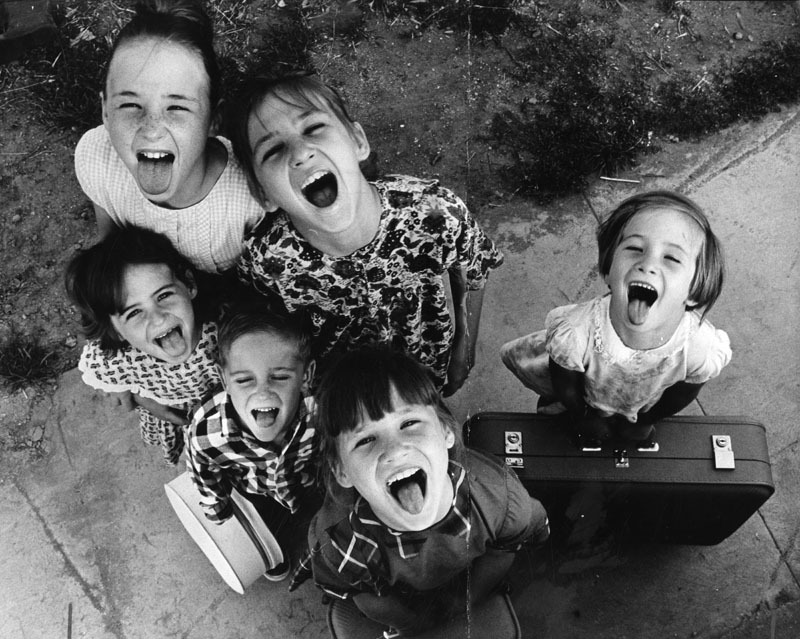 "The six Gibbons children of San Fernando will celebrate National Hospital Week with big dishes of ice cream - after they all have their tonsils out Saturday in Burbank Hospital." Photo by George Brich, 1964. Douglas Arthur sets hair for Valley actress Sherry Jackson in his mobile Rolls Royce salon in 1965. 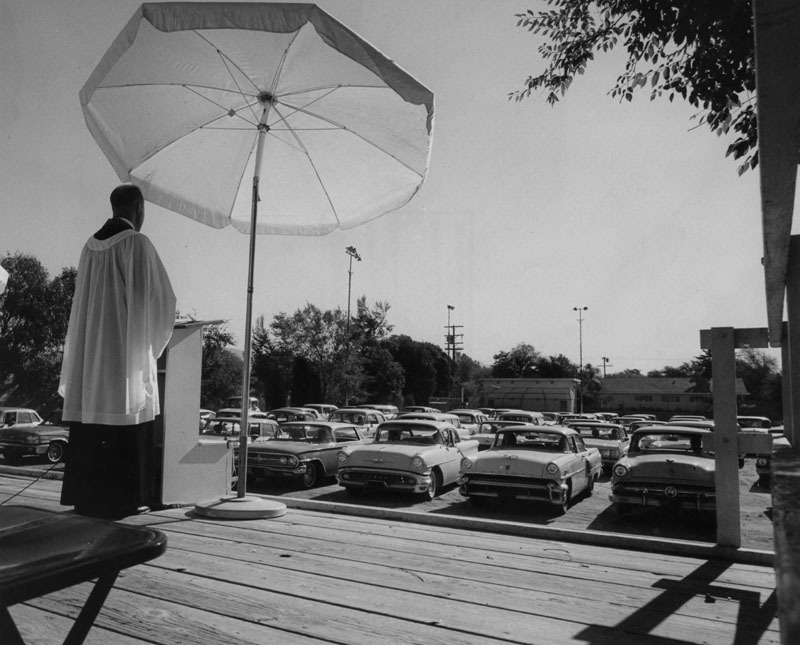 Reverend Erling H. Wold opened the early morning drive-in services at Emmanuel Lutheran Church in North Hollywood in 1965. 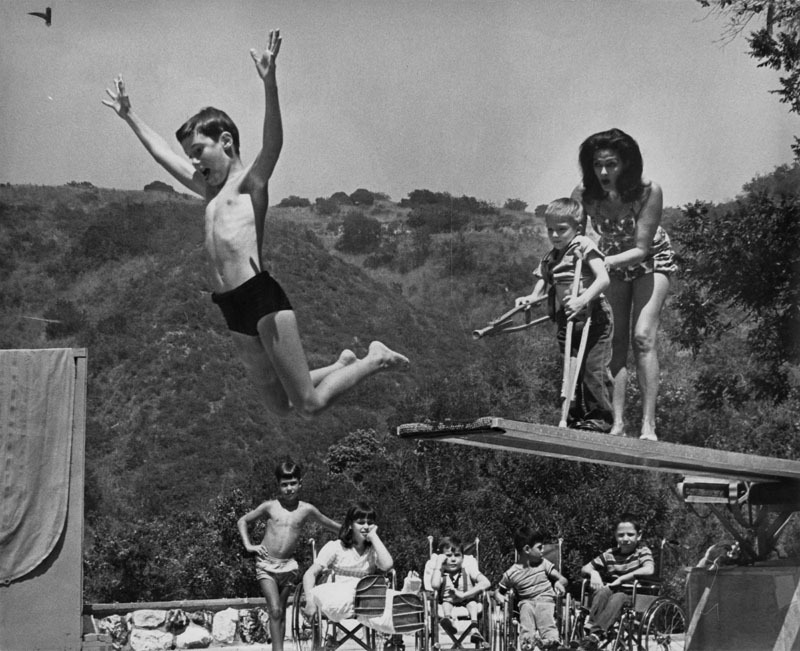 Youngsters in 1961 cluster around "Genii" of Geniiland, a popular place for Valley children's parties. 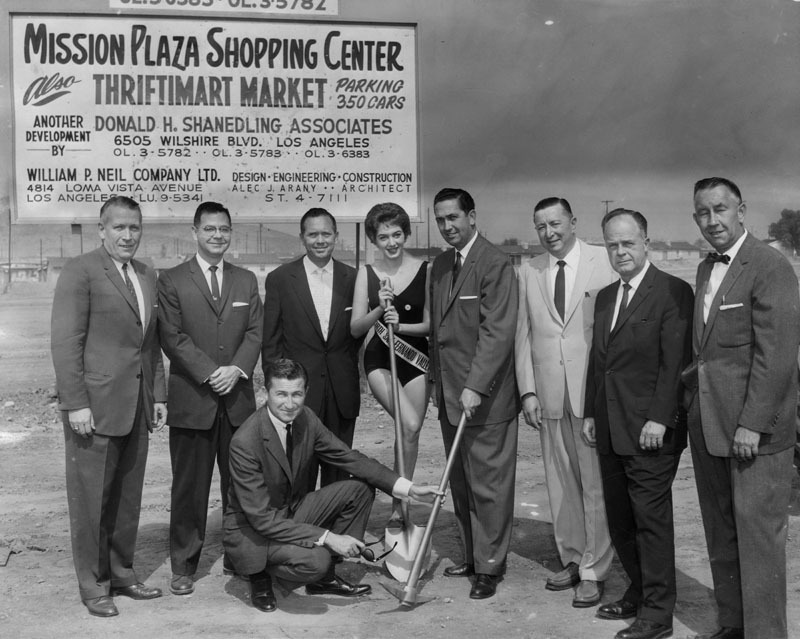 Miss San Fernando Valley North joins business and civic leaders in 1959 for groundbreaking ceremonies at 13.6 acre site of the proposed Mission Plaza shopping center. 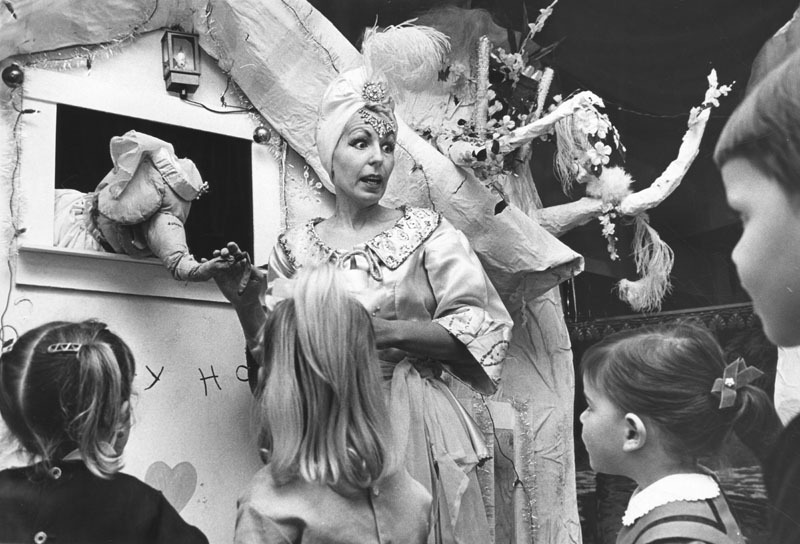 The Photo Friends of the Los Angeles Public Library wants to digitize tens of thousands of historic images from the Valley Times Collection. 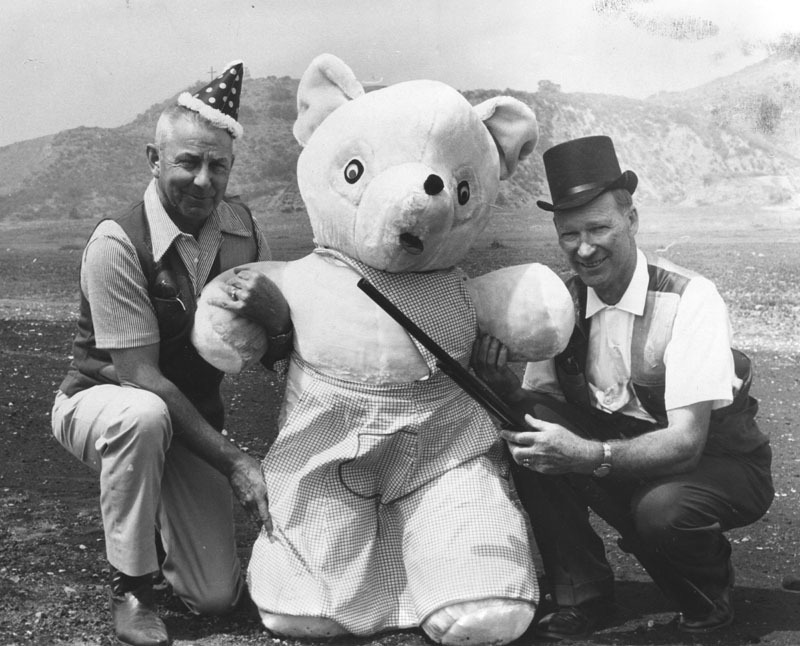 Published daily from 1946 – 1970 and featuring innovative photo spreads unlike any other paper in the region, the Valley Times produced a pictorial treasure trove of the San Fernando Valley’s history during its most dynamic period of growth. Learn more on these pages, and help us meet our goal! Founded in 1990, Photo Friends is a nonprofit, all-volunteer organization dedicated to preserving and promoting the Photo Collection of the Los Angeles Public Library (LAPL).